Jypyä Pop (Turku, Finland) on 13 December 2012 in Lifestyle & Culture and Portfolio. @helys: This city is the Naantali. 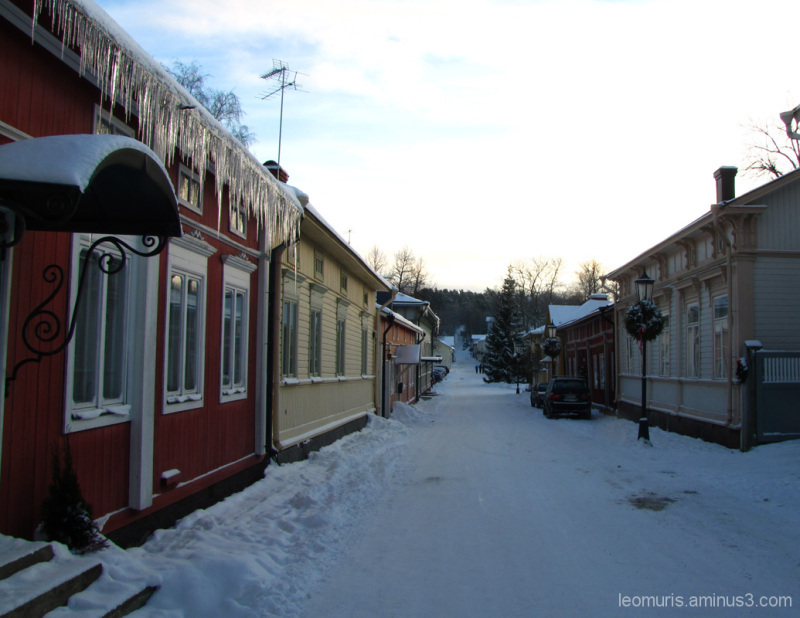 It is located in Turku, close and there is usually a very busy summer. In the winter there is monetary. Wow, great icicles! Lovely view of the old town. Colorful, well kept houses. Those icicles! A beautiful winter view in town. Snow, ice, all the ingredients of winter are in place. Great shot. A particularly nice and very cold winter scene. Gotta love that name ! And what sweet little buildings. @Mariana Maoduš: Yes it is very fine little and old town. @tataray: Now is the winter. Then there is the beautiful and cold, at least sometimes. Quels glaçons sur le toit et ces maisons colorés la perspective et la neige super. @Nicou: The houses are protected. Their appearance does not change. In the summer here is very lively. Looks fit for winter even if it is a summer town. @The Mouse: Yes we live here in the winter when there is a quieter, such is not the tourists. Love the pov and the icicles hanging from the roof. the winter is already installed! freezes well here! @Patrick M.: Winter has come to todlla. Ice and snow is enough. Cold Records this winter in Lapland is measured at minus 32.4 degrees C.